Highlights from the second Tales of Asia talk on Bangkok and Phnom Penh, at the Asian Civilisations Museum, Singapore on 30 October 2015 are here. Look beyond the lights of Siam Square and Sukhumvit towards the Chao Phraya River (or “River of Kings”) to experience Old Bangkok – a part of the city that still reeks with history. Here it was, on the banks of the river, that travellers in the 1800s would have arrived in Siam. And here you will experience a very different side of Bangkok than you would normally encounter. 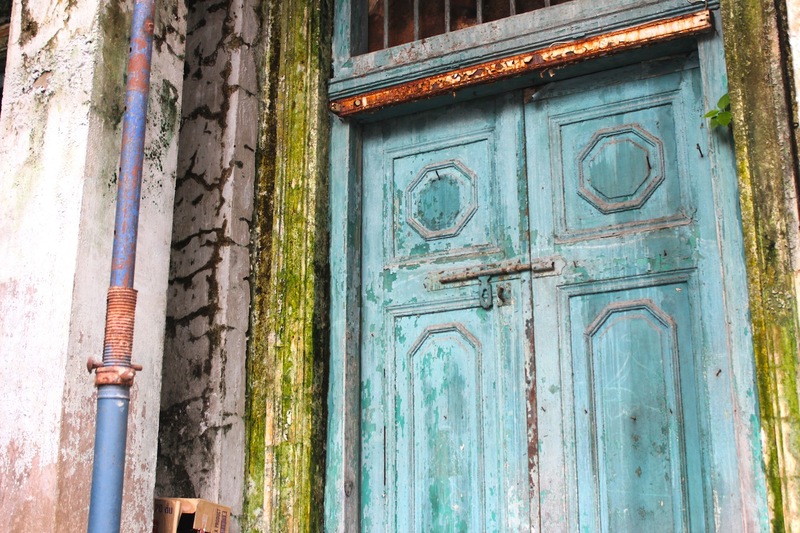 ✑ A random wander in the European Quarter of Bang Rak, particular along the many side streets off Charoen Krung Road. 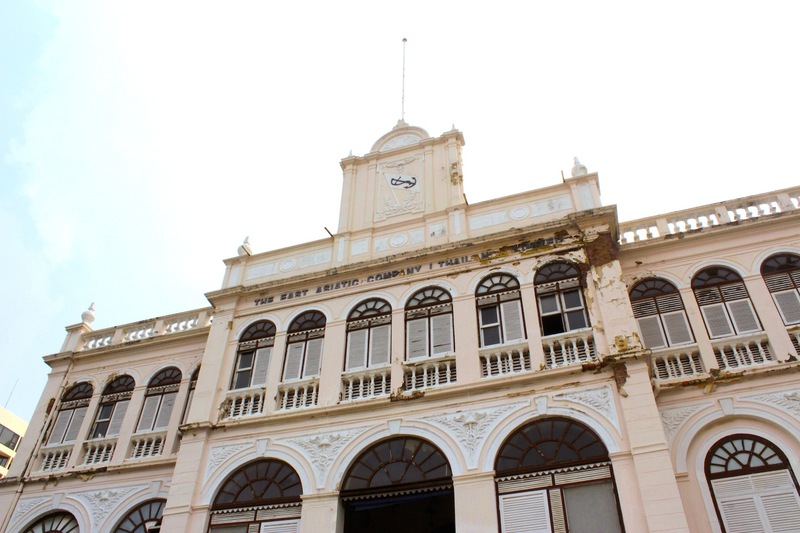 Pay a visit to the former Customs House and former headquarters of the Danish East Asiatic Company, both of which remain in a state of crumbling majesty. ✑ A river cruise down the Chao Phraya, because it is the beating heart of Bangkok, and because it is only from the river that you can get a view of some of the oldest European buildings in the city – including the Portuguese and French Legation Buildings. Best taken in the evening when the sun burnishes facades a heart-stopping shade of gold. 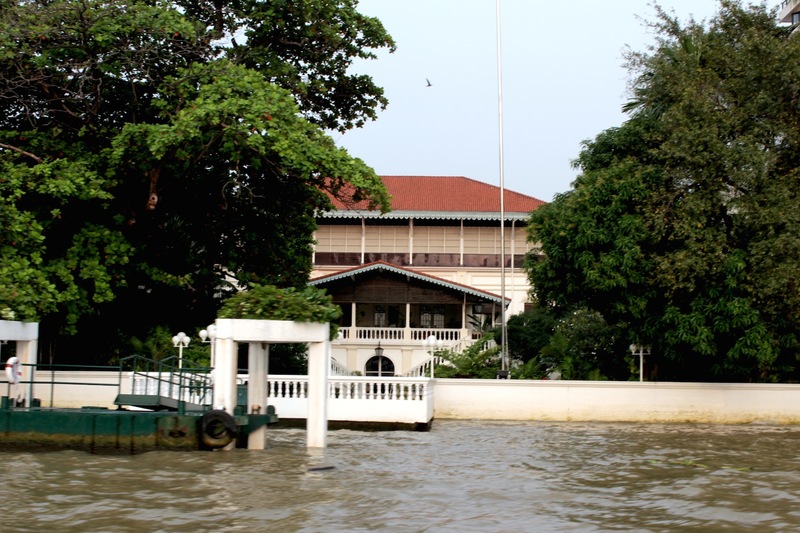 ✑ Take a klong, or canal tour, for a glimpse of Old Bangkok, once the Venice of the East. Go early in the morning, when the floating market at Thonburi is still active. ✑ A walk down Pan Street, off Silom Road. This is Bangkok’s “Street of Harmony” – with a Hindu Temple, Javanese Mosque, Portuguese shophouse, English library and many miniature Thai shrines. 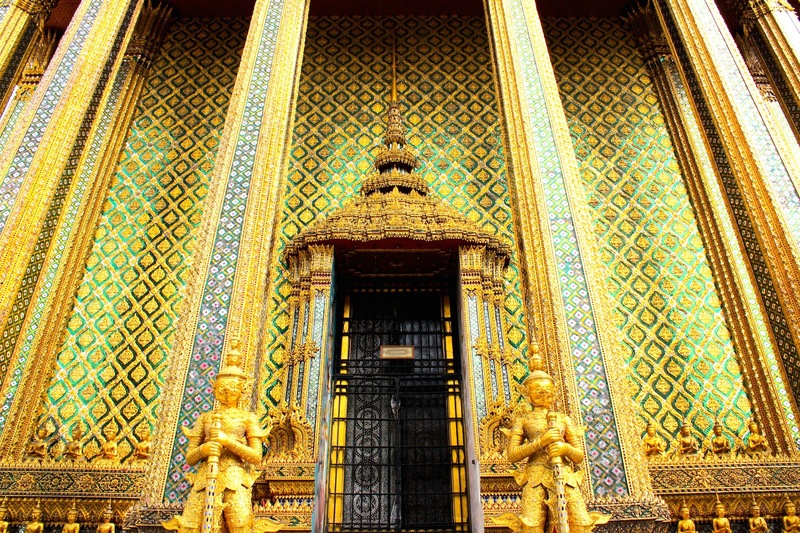 ✑ Visit the Grand Palace, for an otherworldly experience that will blow your mind. This was the seat of the Siamese Empire, and also the backdrop to the famous Hollywood movie, The King and I. Prepare to spend a whole morning, minimally. 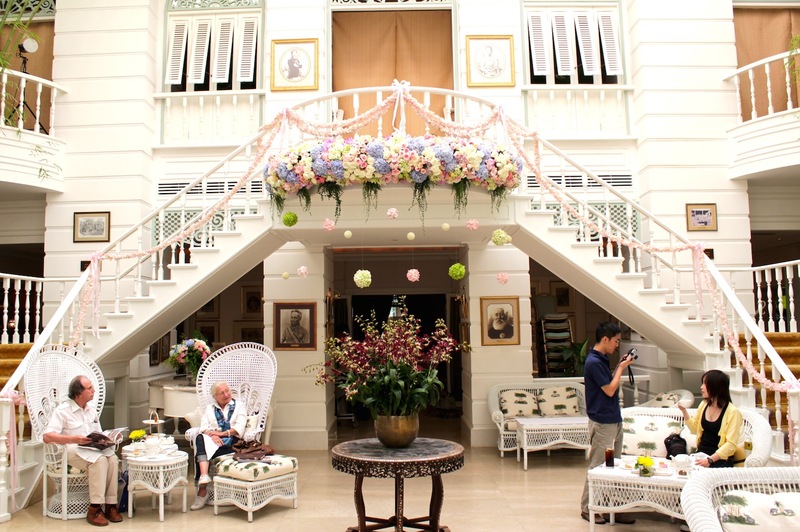 And of course, no visit to Old Bangkok would be complete without High Tea at the (Mandarin) Oriental Hotel. This IS the Grand Tour, at its very essence. No reservations are accepted. 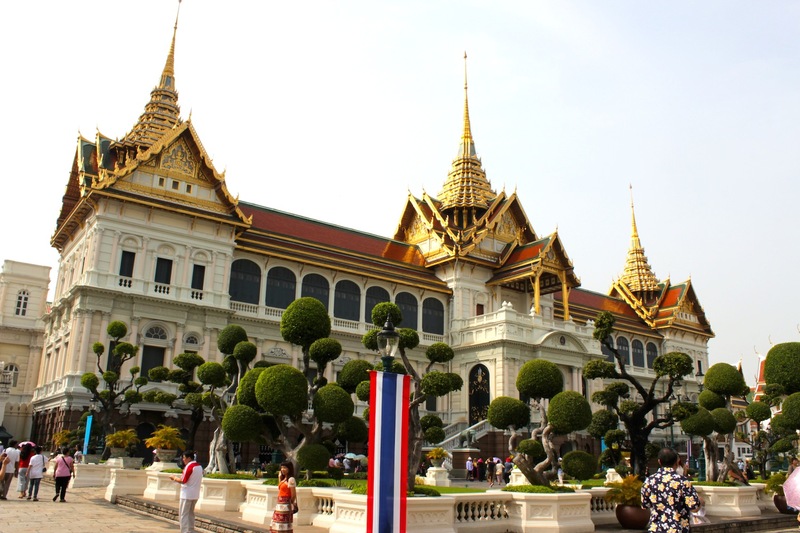 The Chakri Maha Prasat – the actual palace itself is essentially a European style building, with a Siamese-style roof. The French Legation is one of the oldest European buildings in Bangkok. It sits in Bang Rak on the Chao Phraya River. Faded facade of European-style godowns in the vicinity of the Customs House, Bang Rak. And finally… High Tea at the Author’s Lounge, in the Author’s Wing of the (Mandarin) Oriental Hotel. This was the original hotel building built in the 1800s. Bangkok, the royal capital of the Kingdom of Siam (today’s Thailand), is important in the history of South East Asia because it never succumbed to any European colonial power. In other words, there is no colonial history of the city — even though it came very close to having one. Just over a century ago, in 1893, French warships sailed up the Maenam Chao Phraya or the River of Kings intent on forcibly taking this ancient empire as the French equivalent of British India. It took some deft foreign policy and significant territorial concessions on the part of the then Siamese monarch, King Chulalongkorn, also known as Rama V, of the still ruling Chakri Dynasty, for Bangkok to avoid becoming the capital of French Indochina. 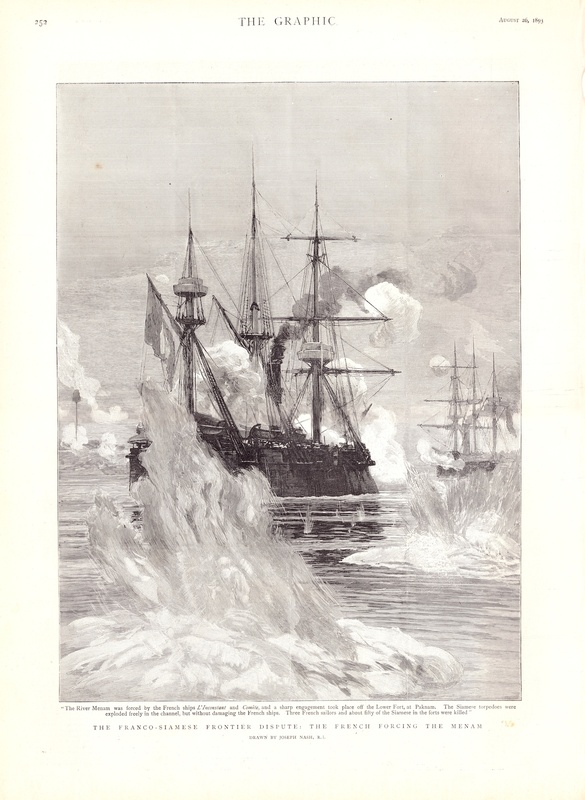 French Warships on the Maenam Chao Phraya, from an 1893 newspaper. The king, himself, we know well. Most latter-day grand tourists remember him from when he was a little boy getting to know his very persistent governess, Anna Leonowens, in the 1954 Hollywood movie musical, The King and I. Educated in the western tradition, he proved to be a vanguard, modernising his kingdom and playing British insecurities against French egocentrism so shrewdly that he managed to secure from both Great Powers a promise to ensure the independence and neutrality of his Kingdom. 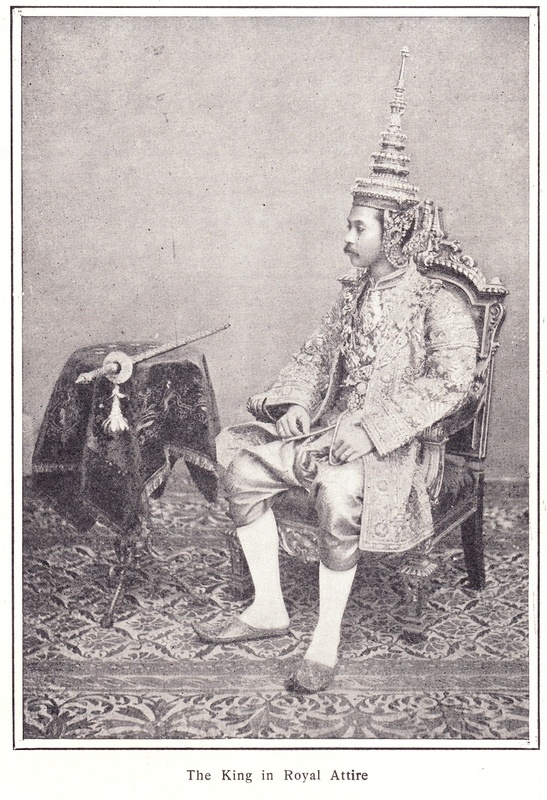 Photograph of King Chulalongkorn from an early 1900s American newspaper. Having no colonial history, however, doesn’t mean Siam has no relation whatsoever to colonialism in South East Asia. Make no mistake about it: while Thailand was never a colony, Siam was a colonising power, exerting its influence over Laos and Cambodia (which it conceded to French Indochina), and the primarily Malay Muslim region along the Kra Isthmus, of which the provinces of Kelantan, Trengganu, Perlis and Perak were conceded to British Malaya. A trip to Laos and Cambodia will reveal just how pervasive the Thai cultural influence still is in these countries. At the same time, Siam, being independent of any colonial empire, paid host to Europeans from almost every creed and language. The Portuguese and Dutch were the first to arrive in the 1500s and stayed for more than 400 years. Then there were the French in the 1600s, the Danish in the 1700s, the British in the 1800s, and finally the Americans, with their investment dollars, after World War II. 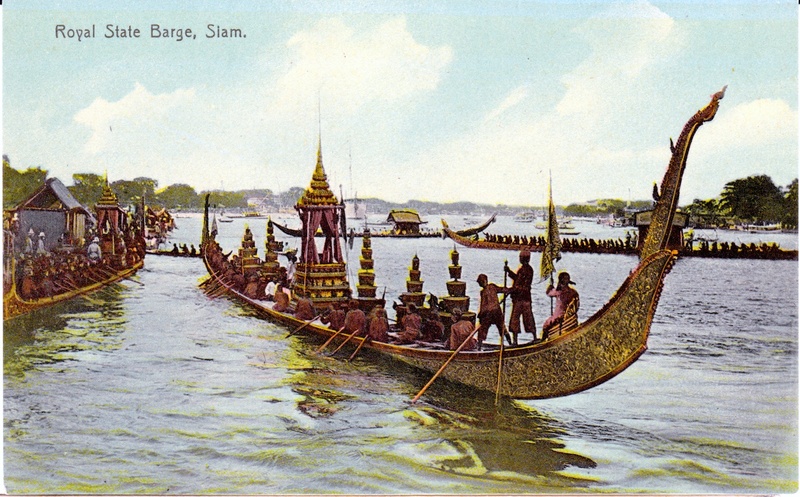 At that time, the mighty Chao Phraya River was the stage for a grand pageant of empire and diplomacy at the turn of the century. 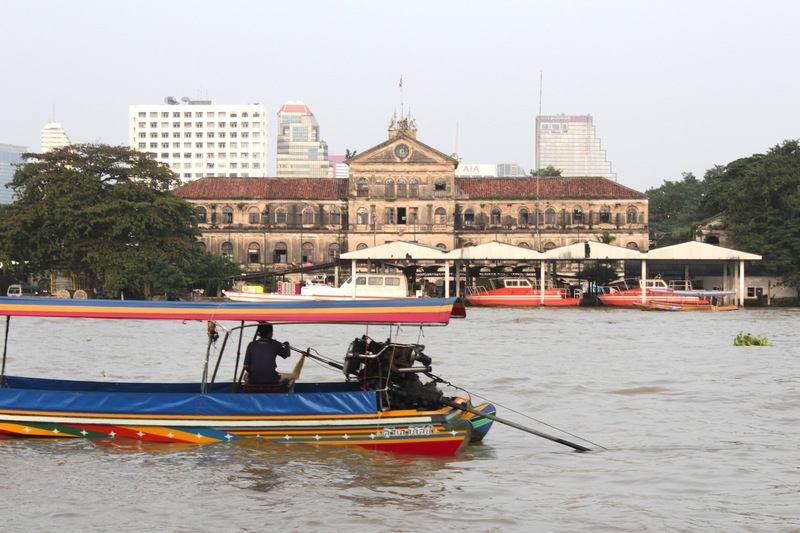 The Chao Phraya River today with the former Customs House in the background. The former headquarters of the Danish East Asiatic Company.